Japanese condom manufacturer Sagami promoted their 0.02 mm thin products in an award-winning interactive campaign, Love Distance, run in the month leading up to December 24, 2008. The unbranded Love Distance web site introduced the public to two lovers living in Fukuoka and Tokyo, separated by 1000 kilometres. Over a month they were shown closing the gap by running towards a central rendezvous point. Iori Abeno and Shohei Kawasaki aimed to meet on Christmas Eve. The counter on the site converts the 1000 kilometres into millimetres. Visitors to the site were required to choose one of the couple, meaning that they needed to find another computer to check on the other. The running commentary included SMS, blog entries, video chats, and running paths. And in the end, the whole documentary thing turned out to be an advertisement whose client was revealed on the night of the 24th of December, being this the final movie. Their ecstatic embrace resulted in emotional spikes between 0 mm and 316 mm. 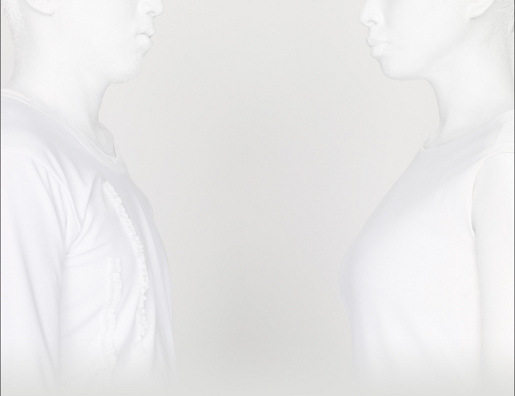 The Love Distance campaign was developed at GT Tokyo by creative director/art director/copywriter/planner Naoki Ito. Filming was shot by Kan Eguchi via Rock & Roll Japan, Tokyo, with director of photography Takahiro Konomi. Music is by Ryuichi Sakamoto. Web production was done at Non-Grid, Tokyo by designer Saiko Kamikanda, technical director Qanta Shimizu and producer Atsuki Yukawa. The Sagami Love Distance campaign won the Cyber Lotus and a Silver for Film at Adfest 2009.